Today, we announce the formation of ‘We Are Raif: a campaign for free speech and human rights in Saudi Arabia’. The coalition has been initiated by a number of human rights campaigners and organisations that have been working together for the last nine months to call for the release of the Saudi blogger Raif Badawi and his lawyer Waleed Abulkhair. They include Bahrain Institute for Rights and Democracy, Campaign Against Arms Trade, English PEN, Free Raif UK, Gulf Center for Human Rights, Hope Not Hate, Index On Censorship, the Jimmy Wales Foundation, One Law for All and the Peter Tatchell Foundation, . Nine months ago, on 9 January 2015, Raif Badawi was taken from his prison cell to a square in Jeddah and lashed 50 times. These were the first 50 lashes of a sentence of 1,000 lashes – a punishment that was threatened to be repeated every week for the following 19 weeks. Raif’s ‘crime’? To encourage debate about religion and politics and call for democratisation and change in Saudi Arabia. 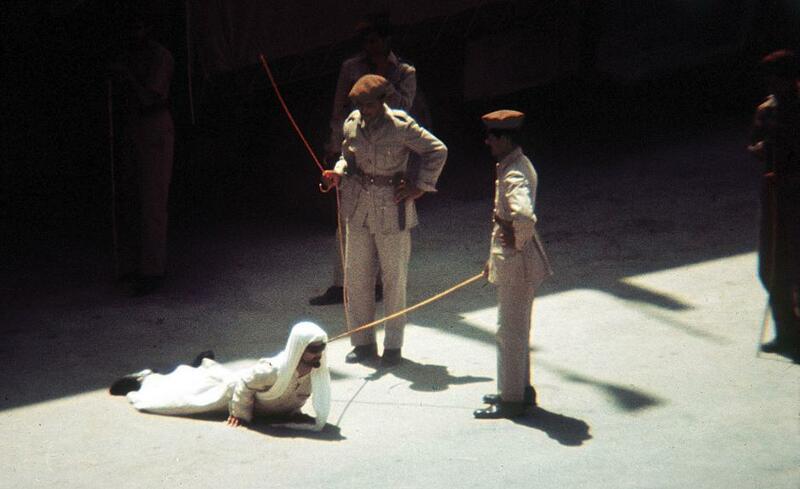 That day, much of the world woke up to the horror that is Saudi Arabia today. We have further watched over these nine months as over 130 executions have taken place in Saudi Arabia. In March we saw the Saudi regime begin its sectarian war in Yemen that has led to the deaths of over 5,400 people with evidence of unlawful airstrikes carried out by the Saudi Arabia-led coalition, some of which amount to war crimes, including use of cluster bombs. We also see the Saudi regime involved heavily in the Syrian conflict in pursuit of their narrow geopolitical interest. In Bahrain, Saudi Arabia directly supports a regime that maintains power through violence, unfair trials, and torture. Over the last four months we’ve been supporting a legal action to challenge the British government’s bid to sell prison training services to the Saudi government. This week we celebrate the government cancelling that bid and succumbing to popular pressure. The aim of the coalition is to give support to those standing up for freedom in Saudi Arabia; to demand an end to executions, beheadings, stonings and their travesty of a justice system; and to demand that our government and businesses in Britain are no longer complicit in the crimes of the regime, by arming it and boosting the prestige of their rulers. We intend to continue our campaign until free speech and democratic rights are won for the people of Saudi Arabia. This entry was posted in Statements on October 16, 2015 by Pete Radcliff.